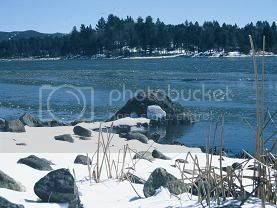 Lake Cuyamaca is is a beautiful mountain lake located near San Diego. This lake is the only one in the county that stocks rainbow trout all year and its also a great place to take the family camping. 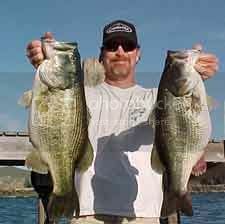 The lake also has a healthy population of nice sized largemouth bass. Cuyamaca is open year round for fishing from 6 a.m. to sunset. The fastest way to Lake Cuyamaca from Orange County is to take I-5 South to I-805 South to I-8 East to Hwy 79 North until you come to the lake. It takes about 2 hours from Santa Ana. Fastest way from Los Angeles County would be to take the 91 or the 60 or the I-10 East to I-15 South to Hwy 79 South at Temecula. The lake is 9 miles South of the town of Julian. Once you leave the freeway in Temecula you are an hour away. Boat Rentals: Motorboat is $35 all day and rowboats are $15. RV Campsites with hookups are $25.00. RV Campsites without hookups are $15.00. Tent Campsites are $15.00. Non-angler access is $6.00 per car, payable only if there are no anglers in party. Fishing permits are $5.00 for adults and $2.50 for kids. You also need a Calif. State Fishing License if you are 16 years of age or older. rainbow trout, brown trout, sturgeon, bullhead catfish,channel catfish,bluegill,largemouth bass, smallmouth bass,crappie,carp.